This project involves a collaboration between myself and printmaker Paul Harrison. 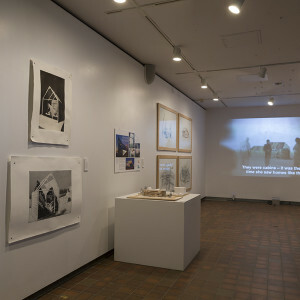 The project combines visual research utilising printmaking methods as part of the design process. 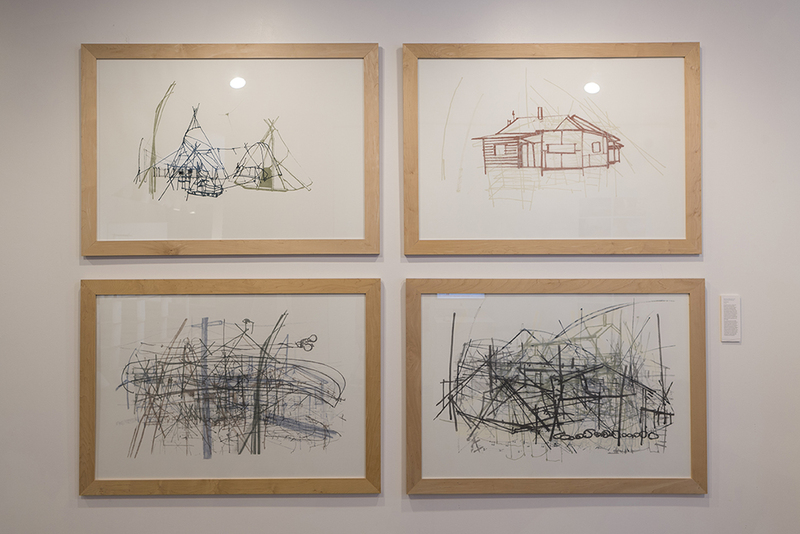 Our starting point was a portfolio of drawings I developed through a series of visits to the Tlicho Dene community of Gameti, Northwest Territories. 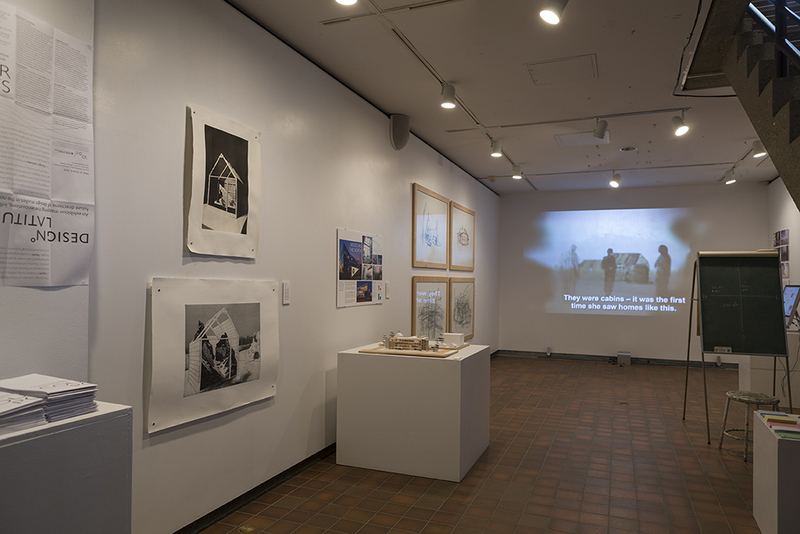 The drawings were the beginning of a process intended to illustrate how a sense of meaningful place and functional space is created, by Tlicho people, around the imposed government house design. Post-colonial structures are ‘inevitably hybridised’ between Eurocentric ideas and local identity. The layers of drawings are, therefore, deliberately contradictory in style; for example, a two-point perspective architectural-type drawing of a house is followed by an extremely rapid investigative sketch of an adjacent assemblage. The corresponding union of opposites is intended to give a sense of the ‘adapted’ hamlet. 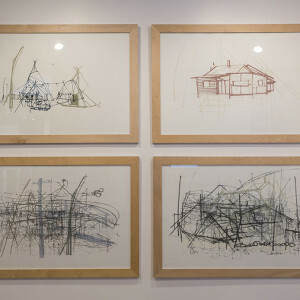 The complexity of line within the drawings is further added to by all utilities being above ground in northern settlements, a consequence of the permafrost.